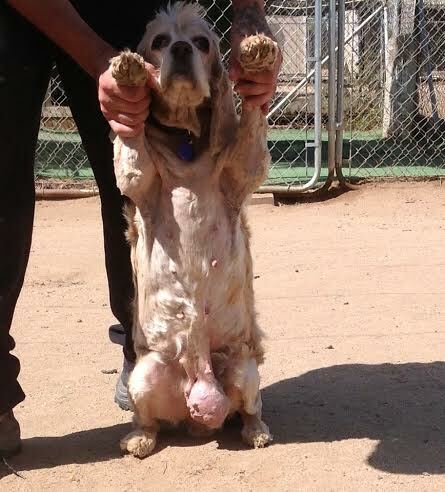 Buffy was in a sad condition at the East Valley shelter and they knew it. She was listed Rescue Only. With that tumor no way was she going to get adopted. 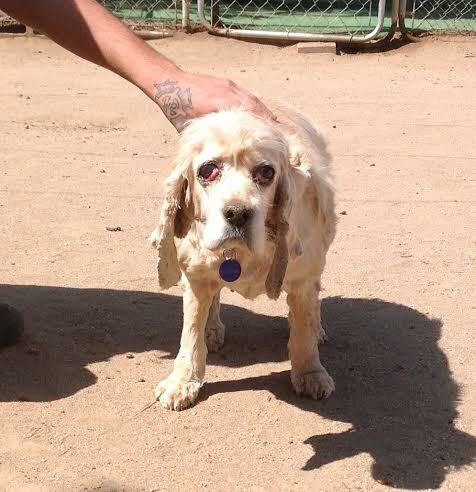 She also had cherry eye in both eyes and terrible ears. We pulled her and sent her off for surgery. She go her eyes fixed and got one of her mammary chains removed. She will have to wait a month to heal up before they can remove the second chain. She will be in recovery for at least two weeks after that before she will be adoptable. Another success story for SCCR. Buffy is now the diva in Judy Riley’s home with her little brother, Yodi, both of whom are absolutely happy as can be. The Bufster is enjoying her life to the max and the Yodi man is a new puppy dog, walking on his own and as joyful as a 6 month puppy.